Aberdeen born Chief Inspector, Iain MacLelland, was promoted to Area Commander for the North Highland area last month, taking over from Chief Inspector Ross MacKillop. With family connections to Skye and the Western Isles, the opportunity to relocate to the Highland capital was gladly seized by Iain and his family last month. Iain joined the Police in 1992, serving as a Police Constable in various posts across Aberdeenshire, including the Road Policing Unit. The Highland Council has launched a consultation paper with detailed proposals for saving over £15 million towards a total budget cut of £64 million over the next five years. The proposals look at cuts in many services and charges for car parking in places not previously done. The public can complete the survey to give their views - see the link at the bottom of the item. Wick born pianist James Ross has composed a piece based on the wonderful historic photographs taken around Wick over a period of 100 years by three generations of the Johnston family. A chef from Thurso has been named as the Young Highland Chef of 2014. 23 year old Robert Smith beat off competition from six other finalists to win the title at last night's cook-off, held at the Burghfield House Hotel in Dornoch. Robert was selected as the winner of the title by a panel of expert judges led by internationally renowned chef Albert Roux OBE KFO. The other chefs on the panel were Andrew Fairlie of Gleneagles Hotel; Brian Maule of Chardon d’Or in Glasgow; Steven Docherty of The First Floor Cafe in Windermere and Glen Watson of The Belfry in Sutton Coldfield. Robert will be awarded with a week’s work experience at the Roux family’s two Michelin starred restaurant, Le Gavroche, in London, £500 and a trophy. Help other local volunteers to give our beach a good clean ready for winter. Bags, gloves and a wrm drink supplied to participants. Meet at Dunnet beach north car park by the Seadrift Centre. Celebrity favourite fish & chip restaurant brought to market. Specialist property adviser Christie + Co is marketing the sale of La Mirage Restaurant & Takeaway, a quirky and highly regarded fish and chip restaurant in the Highlands. Ideally positioned on the main street in Helmsdale, approximately 70 miles north of Inverness, the restaurant was famously a favourite of Dame Barbara Cartland and celebrity chef Clarissa Dickson Wright. The young box ambassador from Castletown underlined his amazing talent, yet again, by carrying off the open Scottish Open Accordion Championship at the Perth Accordion Festival, at the weekend. It's the first time in 27 years that the competition has been won by a button box player. Brandon completed the double, lifting the button box title for the third successive year. Earlier in the year, he won the gold medal at the mod for the third successive year. The icing on the cake, though, was that open success at this year's Perth Festival where he outplayed the cream of Scottish accordionists, mainly piano accordionists. Folk in Caithness who travel by ferry to Orkney have only a few more days to vote if they would like to see a new route developed from Gills Harbour that would cut the Pentland Firth sea-crossing time to just half-an-hour. Independent questionnaire conducted for Pentland Ferries Ltd by 'Survey Monkey' about the desirability of a 'real' short-sea-crossing of Pentland Firth Gills Harbour, Caithness to a 'new' RO:RO terminal at Burwick, just eight miles across the water. As the clocks turn back this weekend, Scottish Natural Heritage (SNH) is warning motorists that the risk of collisions between deer and vehicles increase in certain parts of Scotland. Car accidents involving deer peak at this time of year. With night falling earlier, the peak commuting time coincides with deer coming out to feed on grass verges near roadsides. Because of this, SNH, in conjunction with Transport Scotland and Traffic Scotland, are placing warning messages on electronic variable messaging signs. From the evening of Sunday, 26 October to Monday, 17 November, the signs will warn motorists at key locations on the main trunk roads across West and Northwest Scotland. These messages will be seen on signs on the A9, A87, A82, A85 and the A835. The 2014/15 Wick & District Pool League season got underway on Monday night as sixteen teams looked to get their campaign off to a winning start. The big match in divsion one saw last years second and third placed teams (Bayview1 & Crown1) go head to head out in Lybster. Both teams have strengthened their squads significantly over the summer, but it was Bayview1 who hit the ground running as they clinched an impressive 8-4 win. Eight time division one winners Camps2 looked like they would get their season off to a great start as they took a 5-1 lead away to Sinclair Bay. Momentum is building for the forthcoming UK Pro Surf Championships which will see the UK's top surfers competing in Thurso. SSE and Highland Council's support for the Thurso Surfing Championships is helping to bring the UK Pro Surfing Tour back to Thurso this year, where over 100 surfers will compete for the National Title. The event will showcase both professionals and juniors with an emphasis on the next generation of surfers. It will feature the qualifying event to choose the elite junior surfers to represent Great Britain in a series of international events next year. Support from SSE and Highland Council will allow Thurso to demonstrate itself as one the best surfing locations in the UK and promote the region's outdoor lifestyle. Organisers estimate that the event will bring over 2,000 visitors to the area. Police and partners wish to provide a further update in relation to disruption on the region's roads in the current spate of adverse weather. The Met Office is advising of higher winds to come later today. MeyGen Ltd's Chief Executive Officer Mr Dan Pearson to speak in public about progress with its Marine Power Station on 22nd October 2014. Mr Dan Pearson, the Chief Executive Officer of MeyGen Ltd, is to address folk in North East Caithness from the platform at Mey Village Hall, in NE Caithness, on the evening of Wednesday October 22nd at 7:30 pm. The 'open to the public' meeting is being hosted by the Dunnet & Canisbay Community Council and Mr Pearson may be accompanied by other executives of the MeyGen team when outlining its plans for turbines to be immersed on the seabed of the Pentland Firth's Inner Sound and the related on-shore infrastructure. 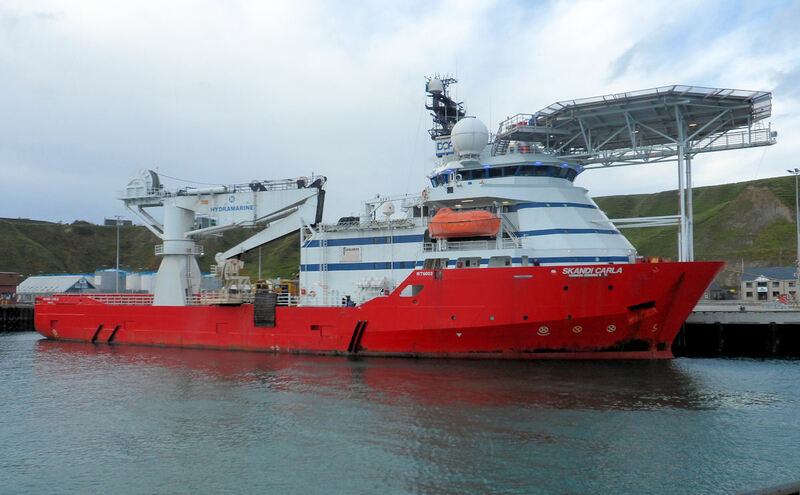 Mojo Maritime has signed a contract with James Fisher Marine Services (JFMS) which will see them provide significant marine operational and engineering expertise to the construction phase of the MeyGen Inner Sound tidal project. Over the next two years, Mojo will work closely with JFMS carrying out the detailed design, planning and execution of the subsea cable, foundation and turbine installation. Richard Parkinson, Mojo's Managing Director, said;"The MeyGen Inner Sound project represents a step change in the tidal energy industry and Mojo is delighted to be continuing its involvement. We are particularly pleased to be working with James Fisher Marine Services with whom we have an excellent relationship. Together, we are looking forward to delivering the world's largest commercial tidal array." Police Scotland advises motorists to be prepared for bad road conditions. Prepare for the winter by keeping your vehicle well maintained before you take to the road. Reduced daylight hours and the possibility of inclement weather place additional demands on all road users. Tips and advice on staying safe this winter Take special care that brakes, tyres, lights, batteries, windscreens and wiper blades are in good condition and well maintained. In addition, washer bottles need to contain an additive to stop the water from freezing. Calling all further education students... win an iPad! As part of a student safety campaign, Police Scotland organised a short questionnaire for further education students, so, if that's you - we'd like your help. Student life is all about learning, having good fun and building new relationships - but it's also important to stay safe. Therefore, our short questionnaire aims to find out about your student experience, personal safety and any concerns you might have. BIG CHEQUE and a sizeable amount to match...that's the sum total of a charity cycling challenge undertaken by Wick riders Arthur Robertson (left) and Willie Macdonald, recently. The enterprising pair clocked up some 78 miles circling the county in demanding weather conditions, to raise a impressive £2,500 for Caithness Heart Support Group. Their route took builder Arthur and Willie, a typesetter, south to Latheron accross the Causewaymire to Thurso, on to John O' Groats and south, back to the starting line at Wick. Mark Burgess, 58, is thought to have travelled to Scotland in a grey coloured Toyota Yaris with the vehicle registration YC13 ZJV and is known to have been in the Inverness area on Friday 17th October 2014, and in Caithness over the weekend, with a trip to John O'Groats thought to have been planned. The modern ferry that has been based at gills, Harbour in Caithness for the past couple of years whisks passengers and cars quickly across to Orkney and back each day. The conveneince and competetive fares has meant the ferry gets busier each year. Caithness and Orkney are lucky to have two main ferry connections from Gillls and Scrabster. Meygen is part of Atlantis Resources based in singapore and is featured in the months issue of Total World Energy magazine. The huge potential for energy is once again to the fore as developments move ever closer. Click to October on the front page of their web site and read like any magazine. Young Highlander Callum Ullman-Smith, a pupil Auchtertyre Primary School, is only 12 years old and has been surveying for Palmate Newts (Lissotriton helveticus), Slow Worms and other amphibians and reptiles since he was seven years old. Recently Callum's time has been taken up with surveying a set of nine rock pools on the shore near Reraig, on Loch Alsh near the Isle of Skye, every month he can, for the past three years. In this unlikely environment Callum has found a breeding population of Palmate Newts. He has been recording the total number of adults and their young (called efts) at each visit he makes. It is an unusual find because; as everyone knows you find amphibians, like newts, in freshwater. Serco NorthLink Ferries is accepting bookings for travel to and from the Northern Isles for next year. Stuart Garrett, Managing Director at Serco NorthLink Ferries, said: "As ever, the year ahead is set to include a number of exciting events for both Orkney and Shetland, from live traditional music festivals to midsummer celebrations. "To cater for the ever popular folk and blues festivals we will be offering an additional six sailings on the MV Hamnavoe Scrabster to Stromness service. As of Friday 10 October 2014, nineteen new Police Scotland recruits will be completing their final week of training at the Highland and Islands Division Police Headquarters in Inverness. The recruits have spent 12 weeks at the Scottish Police College in Tulliallan, undertaking intense training in variety of areas including learning general policing duties, legislation, traffic management and undertaking physical fitness assessment. A tour of the brochs, Iron Age round houses of the East Coast of Caithness. Bobby's bus will take us to Nybster, Thrumster, Yarrows and Dunbeath. Return to Aukengill around 4.00pm. Council renews call for permanent reinstatement of ETVs. . Leader of The Highland Council, Councillor Drew Hendry has renewed The Highland Council's call to permanently retain and reinstate previous levels of emergency towing vehicles (ETVs) covering the Minch and Northern Isles. This call comes in light of the current incident involving the MV Parida which was transporting a cargo of radioactive concrete waste from Scrabster to Antwerp when a fire on board caused a loss of power and left the vessel drifting 20 miles off Wick. The fire was extinguished, however due to the direction of the drifting vessel; the Beatrice oil platform was evacuated and shut down as a precaution. The MV Parida was subsequently towed to the narrows of the Cromarty Firth. It is essential that anyone who has completed their refresher training must notify The Highland Licensing Board by 30 November 2014 to retain their Personal Licence. Failure to do so will result in their licence being revoked. At around 01:30hrs on Wednesday 7th october 2014 there was a small fire in the PFR sodium tank farm. The Dounreay Fire Brigade was called immediately and the area was made safe. The fire was quickly extinguished and the area confirmed to be safe within 30 minutes. A number of roads and schools have been affected throughout the eastern part of the Highlands today (Wednesday, 08 October 2014). The photo shows the clean up going on at the Camps area of Wick after the harbour saw the force of the storm cause the usual mess. A poster campaign to highlight the risks of buying cigarettes for children has been launched by the Trading Standards services in Highland and Argyll and Bute Councils, in partnership with NHS Highland. The campaign will increase awareness that it is unlawful for adults aged 18 or over, to knowingly buy or attempt to buy cigarettes, tobacco or cigarette papers for a person who is under the age of 18, this is known as a "proxy purchase". The public are being reminded that it is the person buying or attempting to buy tobacco products, not the shopkeeper, who is guilty. They can face a fixed penalty notice of £200 and failure to pay may result in action in the criminal court. Heavy seas battering the south pier at Wick harbour almost obliterating the lighthouse, at times. Thurso is gradually spreading out in various directions and hereis one of the newer streets we have not previously looked at. The street has mix of house sizes with some good views - hence the name. The street still has new homes being constructed and has space for more as the builder gets orders. Two local apprentices and students of the North Highland College UHI have won awards at the National Scottish Electrical Charitable Training Trust (SECTT) competition. Graeme Robert Gray (22) and Murray Mackintosh (20) broke records earlier this year when they won both the first and second stage categories for the North of Scotland - the first time in the history of the competition that a single college has won both awards. The Highland Council is highlighting a mobile phone access programme to communities in the region who currently have no 3G mobile reception. Vodafone UK has teamed up with the National Association of Local Councils and Countryside Alliance to encourage more communities to apply to its Rural Open Sure Signal programme. The programme is a community led initiative, which is giving 100 rural communities, in poor mobile coverage locations across the UK, the opportunity to receive 3G mobile access for the first time. High Life Highland (HLH) has announced that that the contract to refurbish Thurso Library has been awarded to local company O'Brien Construction Ltd. The work is set to commence on the 27th October 2014 with completion expected end of June 2015 and the library should re-open to the public early July 2015........The library will also offer a new bookable community room and a full programme of events and activities will be arranged in liaison with the local community. A team of volunteers from the local high school has already been identified to assist with the design of the teenage area and the selection of resources for young people in the area. Following recent high winds last night and this morning (5 - 6 October 2014) The Highland Council is encouraging landowners to check trees and vegetation near to public roads which may have been damaged. Mr Ally Budge has been appointed by The Highland Council to the post of head teacher for Noss Primary School - the new North of the River Primary School in Wick which will replace North and Hillhead Primary Schools. Caithness artist, Joanne B Kaar is to hold her first studio sale. This two-day event will take place on the Saturday 1st and Sunday 2nd November, in Dunnet. 11am - 4pm on both days. More details about the sale. The new Artists Galleries are open to any Caithness related works wheterh locatedin Caithnes or elsewhere and there is no charge for this new service. Artists in any medium can get in touch with bill@caithness.org Links to your web page or facebook page will be added to each picture. The Highland Council is offering assistance to communities who wish to take action in their own areas to help clear snow and ice from local footpaths. Highland Council's Director of Community Services said: "When it snows, or we have hard overnight frosts it is quite simply not possible for Council resources to be everywhere at the same time to treat footpaths. "We have a fleet of over 40 footpath gritting tractors which are used on priority pedestrian areas around shops, schools and hospitals, but we recognise that communities who wish to keep their local areas clear of snow and ice may be better placed to treat footpaths that are important to them in their areas." Scottish Natural Heritage (SNH) will prevent the use of general licences to trap or shoot wild birds on land where there is evidence of wildlife crime against birds. Decisions will be made on the basis of strong evidence provided by Police Scotland, and will be based on a civil standard of proof, rather than the criminal standard of proof. It comes after Scotland's Minister for the Environment and Climate Change, Paul Wheelhouse, asked SNH to consider how general licences could be restricted, as part of a number of measures aimed at reducing raptor persecution. General licences allow landowners or land managers to carry out actions which would otherwise be illegal, including controlling certain types of birds for conservation purposes or to protect crops or livestock. These new measures mean that where SNH has evidence that indicates that wildlife crime has been committed on an area of land then the use of these licences can be restricted on that area of land. Catch up with the many of the developments in the Caithness economy. The Lidl extension in Thurso is underway and the store will close in a few weeks time and reopen again early in the new year. A new section on the web site is open to any artist in Caithness or creating works about Caithness. We will create a Sutherland section if there is demand. First in is Jane MacRae who has painted many parts of Caithness and other places. She has paintings for sale or will undertake commissions. If you are an artist and would like your own dedicated section in this new space on Caithness.org then get in touch with Bill by emailing bill@caithness.org Just send jpeg photos to be included in the new gallery and we will add titles and links to your web site or page. If you want text added just send that at the same time. New pictures can be added anytime and you can have them marked as sold by sending another email any time. There is no charge for this new service. If there is any demand from photographers then we will consider setting up a similar section. Three brothers from Inverness were jailed for a total of five-and-a-half years at Dingwall Sheriff Court on Thursday 2 October 2014 for doorstep crime offences, defrauding people in their own homes. The Caithness & North Sutherland Fund has awarded over £65K at its latest grant assessment round. The funding has been granted to five community/voluntary groups towards projects that will benefit people living in the Caithness & North Sutherland area. Book your place on this walk to see the features of the Caithness coast between Loch of Yarrows and Whjaligoe Steps. Trick No Treat As 31 October Brings Energy Bill Hikes Of Up To £205. Customers on the 12 fixed tariffs that are d ue to end on Halloween could see bills rise by 10% on average On Friday 31 October, 12 fixed energy deals will come to an end, with eight from just one supplier - ScottishPower - due to expire. This could result in an average annual bill increase of 10% - or £104 – for consumers who haven't taken action and shopped around for an energy tariff. Rush.dance Competition kids have just competed at Central Scotland Street dance Championships in Perth, Our kids have just returned for the first Scottish UDO street dance championships, which was also a UDO European / World championship qualifier for 2015. TWO Caithness charities benefited from a Wick woman's West Highland Way sponsored walk, earlier this year. Both MS People Caithness and the county's heart support group received £1,090. The cheques were handed over by group secretary Marge Donaldson (centre) who successfully completed the popular 100-mile walk, in July.